The Caprice nameplate meant ‘luxury’. Well, atleast as far as the Chevrolet division was allowed to take it. It even had its own special emblem, which replaced the traditional Chevy bowtie on all Caprices. 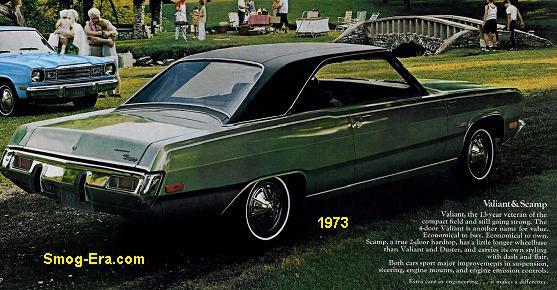 The 1973 Caprice was advertised as being the ‘uppermost Chevrolet’. 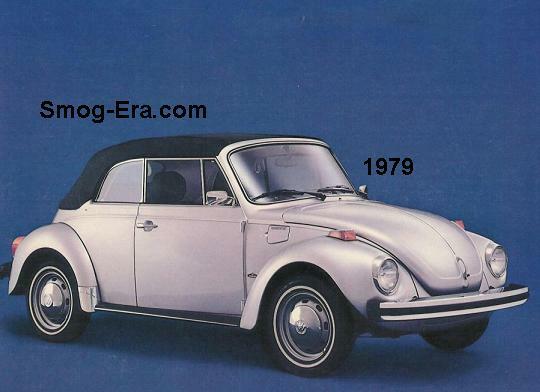 It had the same overall body dimensions as the 1971-1972 models. 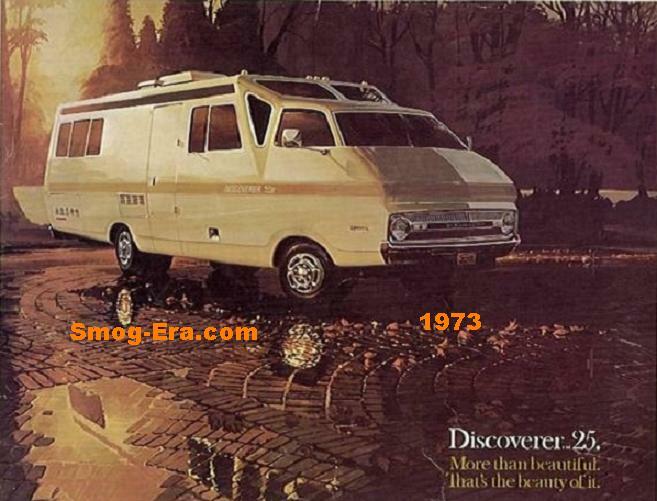 In these early years the big Chevy got a new appearance with each model year and 1973 was no exception. Body styles were a choice of 2-door hardtop, 4-door hardtop, 4-door post, convertible, or station wagon. A 400 CID 2bbl V8 was the standard engine. Optionally a 245hp 454 CID 4bbl V8 was available. 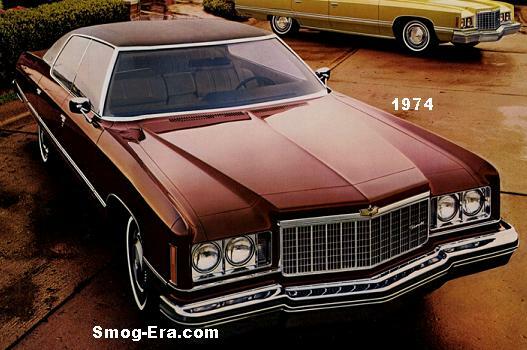 The 1974 Caprice previewed the look of the next year’s Chevrolet Impala. All were called ‘Caprice Classic’ this year and beyond. 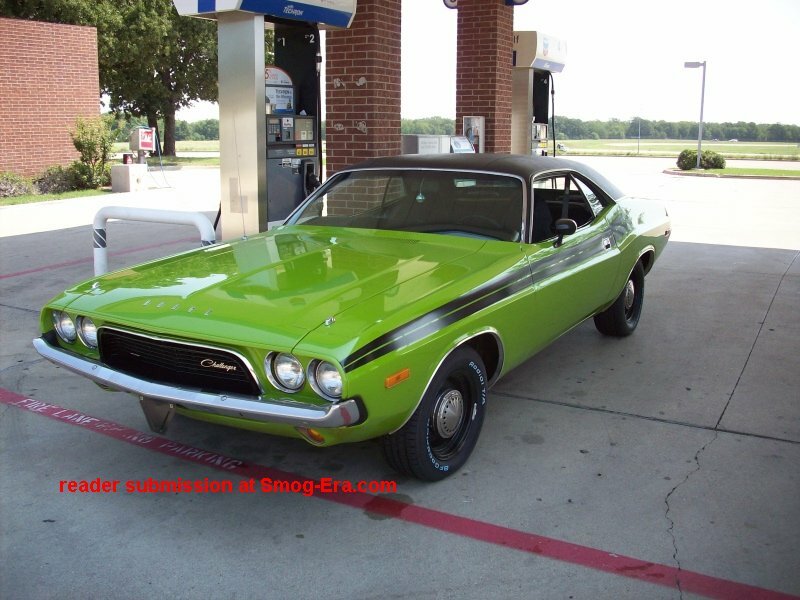 Due to the ever tightening rollover standards, the 2-door hardtop coupe was replaced with a 2-door post coupe this year. The 400 2bbl was still the standard engine, but on 49-state cars. A 350 CID 4bbl V8 was now the standard engine on California cars. A 400 CID 4bbl V8 was added as on option on sedans/coupes and was standard on wagons. A 454 CID 4bbl V8 was the top engine option, though it dropped 10hp to 235. The look was changed again for 1975. A Landau appearance package was new this year. The 350 CID 2bbl V8 was standard on coupes and sedans. The 350 CID 4bbl V8 was standard on California cars, but not available anywhere else. The 400 CID 4bbl V8 was standard on wagons and optional on all others. In the wagons, a 454 CID 4bbl V8 was still optional. 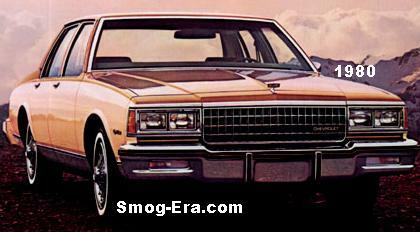 For 1976, the Caprice received rectangular headlamps and a new grille. The convertible was no longer offered as of this year. Engine choices carried over from 1975, though it was the final year for the 400 and 454 V8s. Standard engine was now a 250 CID 1bbl I6 making 110hp. Optional was a 305 CID 2bbl V8 making 145hp, though it was standard in the station wagon. Top engine choice in all was a 350 CID 4bbl making 170hp. In 1978, engine choices remained the same, so did the appearance, sans a new grille. The bad news was that the rear axle ratios in Caprice coupes/sedans were changed to a horrible 2.41 ratio. 1979 Caprices were essentially carry over models, though the nose got a slightly updated appearance. Notable on the ’77-’79 Caprice coupes was the large rear windshield. These cars are already becoming quite collectible. In 1980, all fullsize GMs went on another weight loss program losing on average 100lbs. versus the previous year. It was done mainly with lighter complete front ends. The Caprice also received an updated engine lineup. These were a 229 CID 2bbl V6 making 115hp, a 231 CID 2bbl Buick V6 making 110hp, a 267 CID 2bbl V8 making 120hp and a 305 CID 4bbl V8 making 155hp. 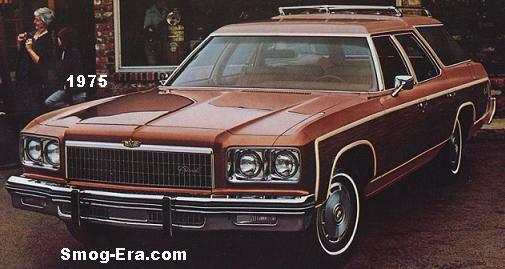 The wagon received the 305 V8 as standard, but could also be had with a 350 CID Diesel Oldsmobile V8 which made 105hp. 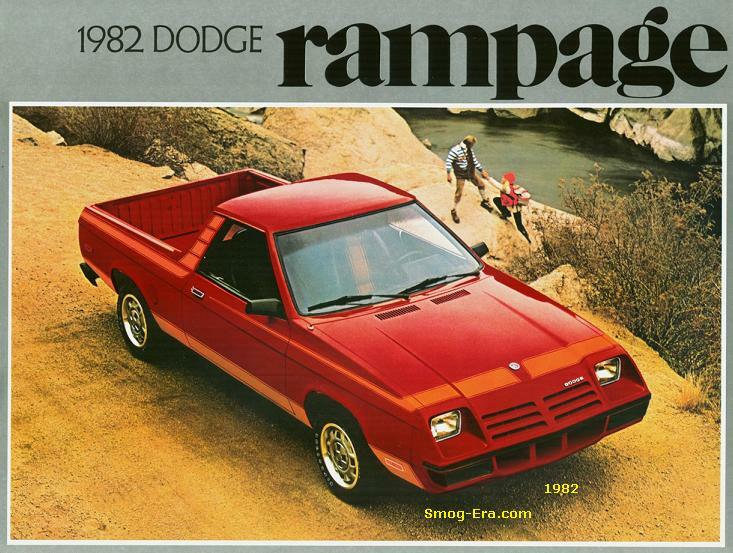 The 1981 model year was essentially the same car though it did get a new grille. 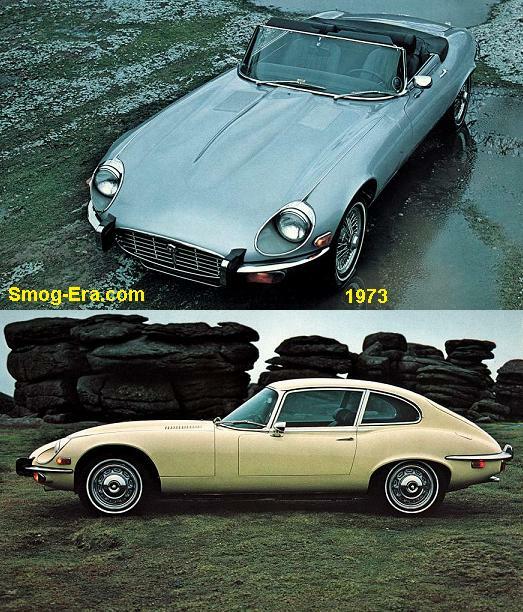 The 350 Diesel was now optional on the coupes/sedans. The basic looked stuck around until the end of the smog-era. In a rare experiment, the 1982 Caprice wagon came standard with the 267 V8, though there were not many takers. 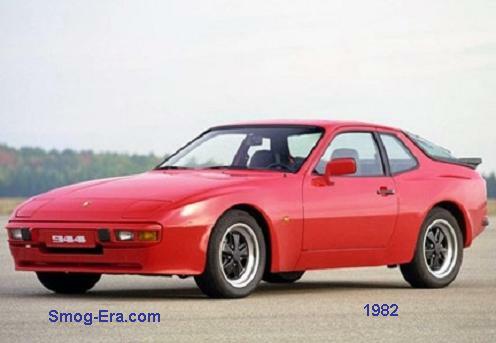 In 1983, the 2-door coupe was dropped for this one year only. Also dropped was the 267 V8. The Caprice nameplate carried on many more years beyond the ‘smog-era’.